Huda Beauty Lip Contour Set Now at Sephora! | Top Beauty Blog in the Philippines covering Makeup Reviews, Swatches, Skincare and More! Huda Beauty Lip Contour Set Now at Sephora! 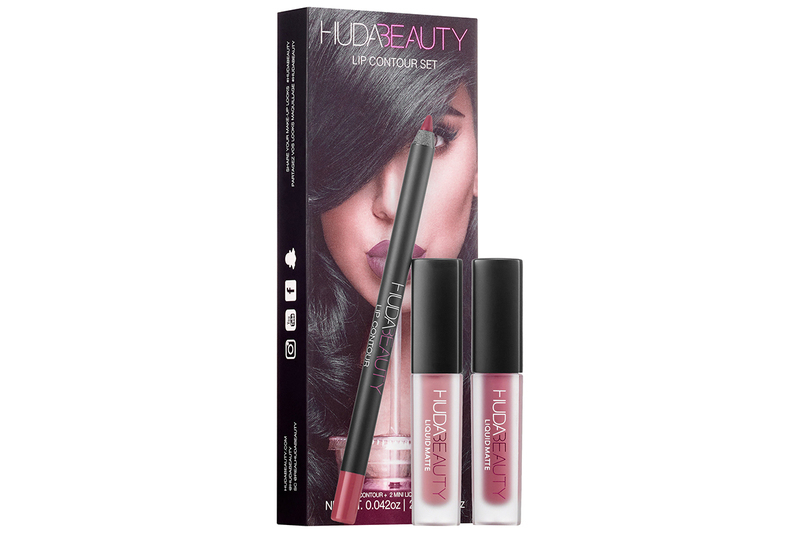 Huda Beauty's Sephora exclusive Lip Contour Set which features full sizes of the cult-favorite Lip Contour along with two mini Liquid Mattes in complementary shades, you can mix and match for unrivaled staying power is now available for purchase! Take your lip looks to the next level with the Huda Beauty Lip Contour Set. This lip contour set feature full sizes of the cult-favorite Lip Contour along with two mini Liquid Mattes in complementary shades, you can mix and match for unrivaled staying power. Use the Lip Contour Matte Pencil to first line and design the perfect lip shape, and then layer with the Liquid Matte Lipstick that fits your mood. With the ultra-lightweight texture of the lipstick, you get 30 seconds of play time to layer and blend the two for a unique color. For an ombré effect, use the dark shade first, and dab the lighter shade onto the center of your lips. With Huda’s favorite matching shades in each set, it makes it super easy to create a gorgeous lip look. The price is great, I have to try it! Oh, those colours are really pretty!